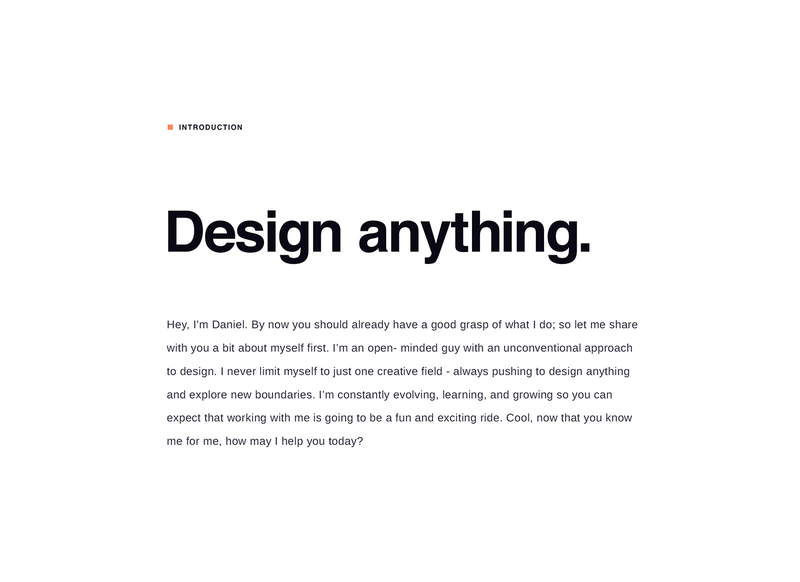 Daniel Tan share a beautiful web design project on his Behance profile. It's for his personal website and portfolio. It features a simple layout with a good usage of typography and motion design. In addition, the illustrations are quite stylish, vector but with a bit more character. I have to say that it also feels that follows the trend started with the Dropbox redesign effort. That said, the quality of this design project definitely deserves a feature on Abduzeedo. More and more designers weighed in on how sites are all looking the same and it's true. One Letter One Song is a web design, UI/UX and art direction project shared by Aykut Yilmaz on his Behance profile. Hristo Hristov is a designer based in Frankfurt, Germany. He has put together a quite inspiring set of comps on web design featuring a quite elegant editorial design style that seems to be perfect translated to the web.